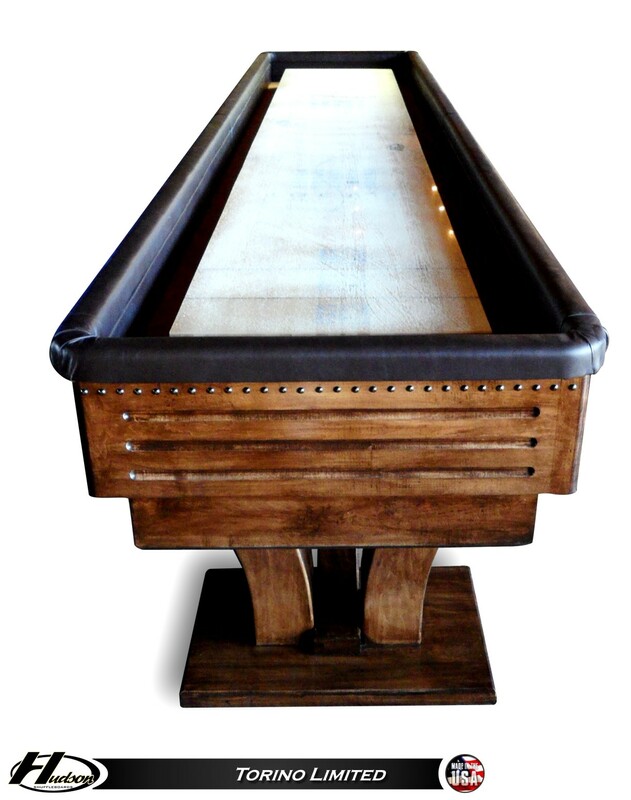 Those looking for mid-range sized fields should consider 14’ shuffleboards. 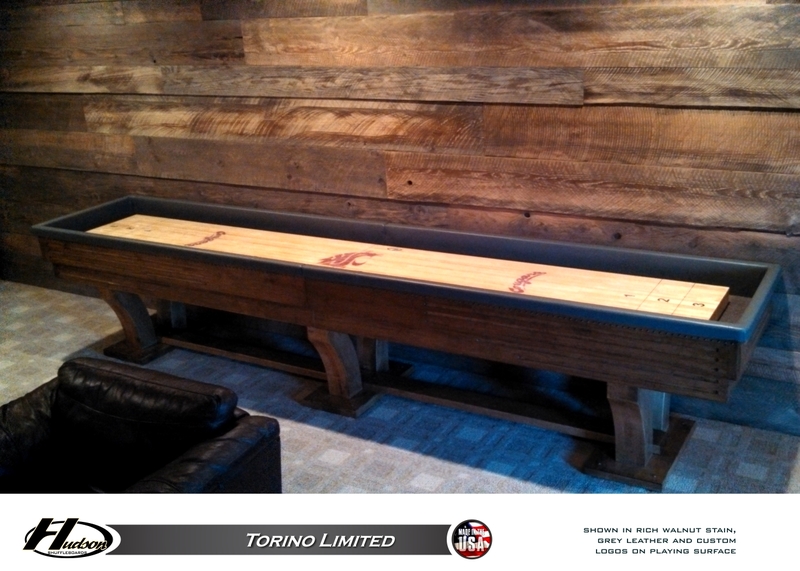 Fitting right in the middle of shuffleboard options, they provide a nice mix of playing speed and tests of skill. 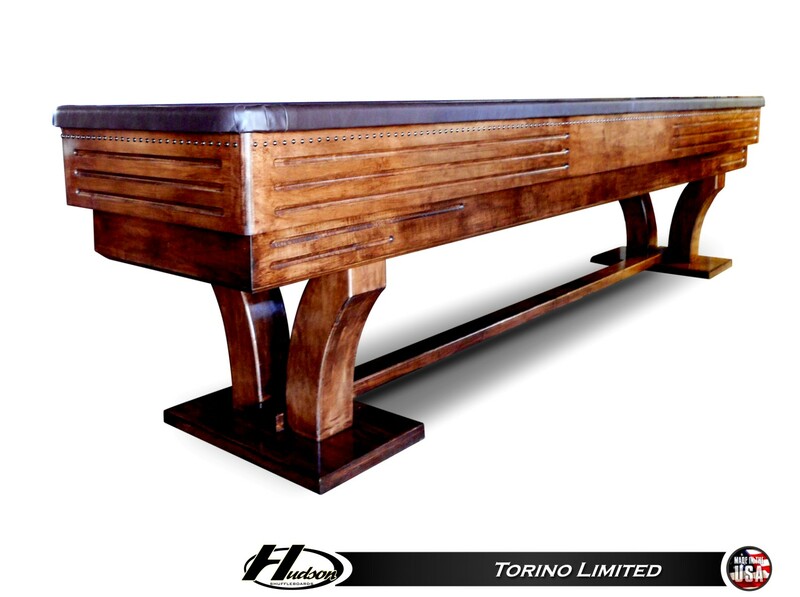 This table is made to order and a can be finished in Matte Black, Espresso, Provincial, Honey Oak, Rich Walnut, Fruitwood, Mahogany, Cherry, or Natural Finish Stains. Or we can also match any custom stain you provide. 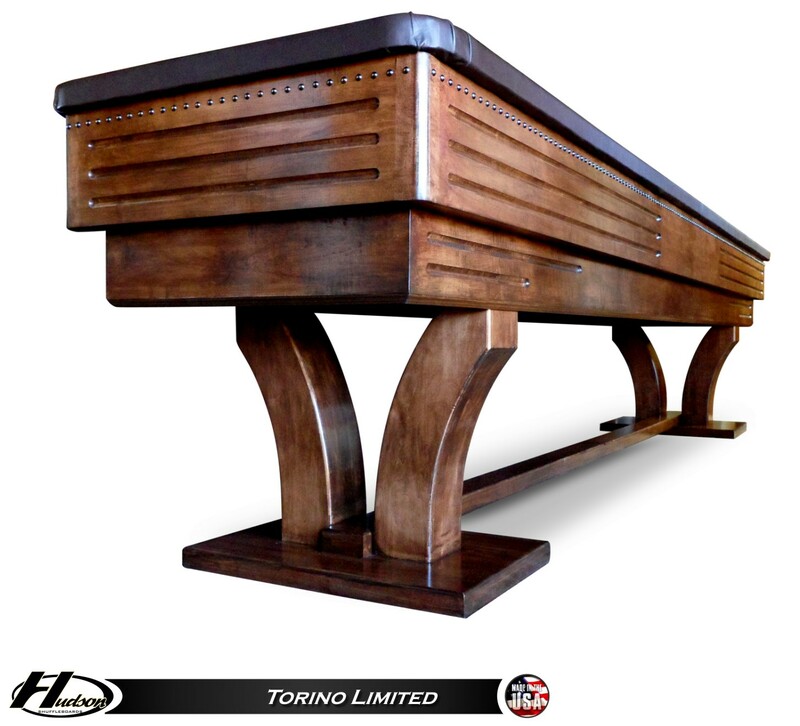 The playing surface is constructed of select kiln-dried Hard Rock Maple and topped with our Polymer Finish (lifetime warranty). This is the same finish insisted upon by the Professionals in tournament play. And to help keep the playing surface true, climatic adjusters are included. Also Included is One Set of Eight Playing Weights, 2 Bottles of Speed Powders, 5” Adjustable Leg Levelers, and One Board Wipe. Cradle and Legs are Solid Maple. Genuine Leather Wrapped Top Rail. One Set of Playing Weights. Playfield: 20" wide x 3" thick. 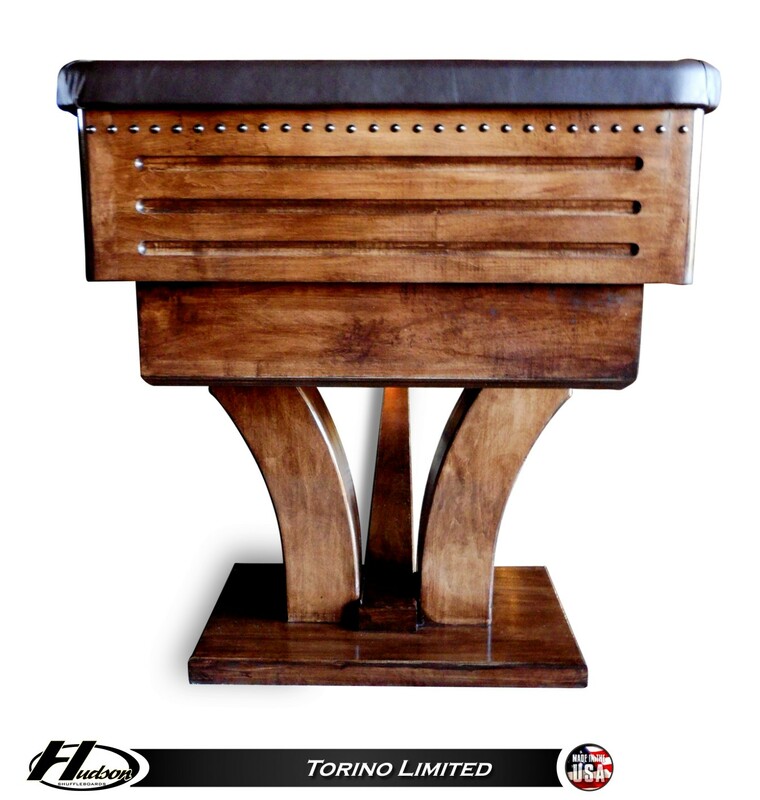 Cradle Length: add 2" to each size table due to thickness on leather wrapped top rail. 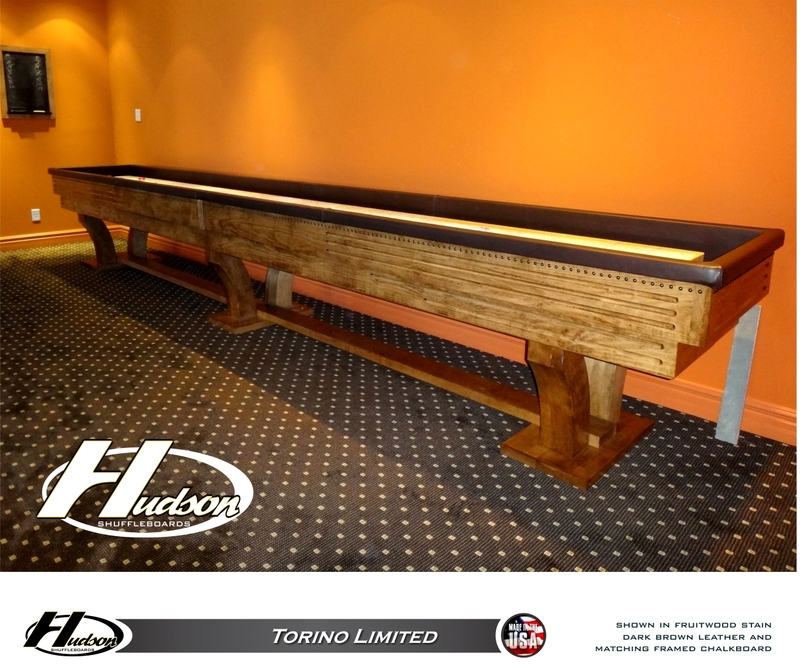 Table Height: 33" to the top of the playfield. The playing surface can be ordered to arrive in two pieces, with wooden dowels to ensure perfect alignment. This option makes it easier to the playing surface if space is a constraint.